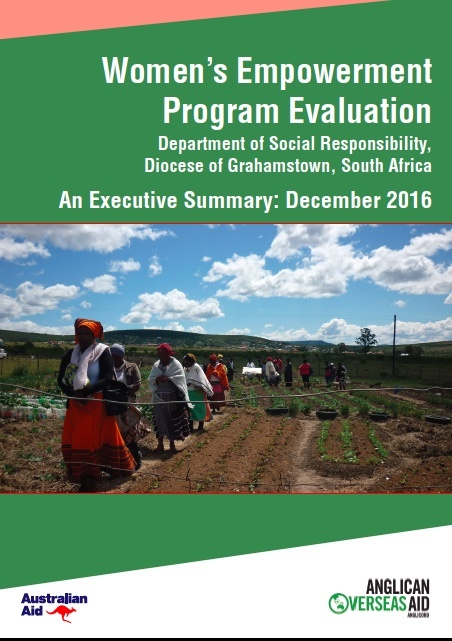 The Grahamstown Diocese Women’s Empowerment Program is implemented in rural and urban areas of the Eastern Cape Province of South Africa. The aim of the program is to address gender-based violence through capacity building in leadership and advocacy skills, and improving the livelihoods of vulnerable women and communities through capacity building in household food production. This project is funded through the Australian Government’s Australian NGO Cooperation Program (ANCP) as well as from donations from Anglicans in Australia. It is implemented by the Department of Social Responsibility in the Diocese of Grahamstown, South Africa, in partnership with ourselves.